My drawings have been in G-Fan for many years, mostly as illustrations for stories by Skip Peel. 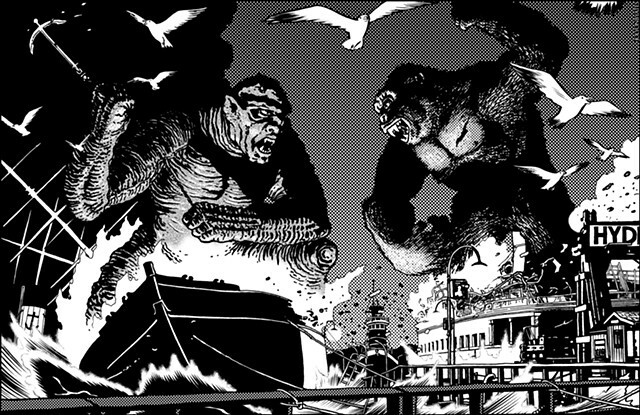 These three are for a trilogy concerning clashes between King Kong and a creation of Dr Frankenstein in the past, present and future. This one occurs in 1950s San Francisco and is inspired by an unmade film. The screentones are designed to work on newsprint but might well look peculiar on monitors.